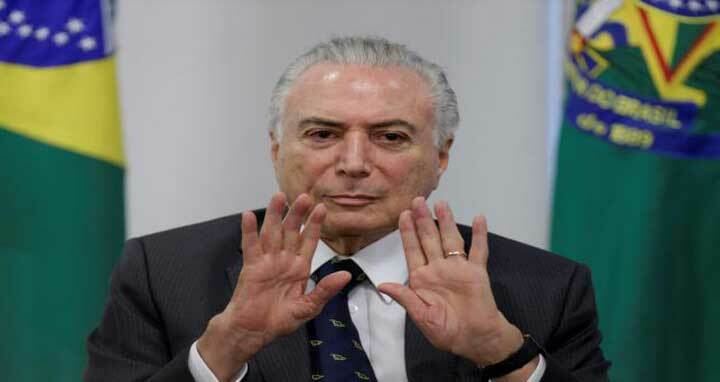 Michel Temer: Access to drinking water and basic sanitation is a right and one of the sustainable development goals of the United Nations. It is a condition for human life. However, up totwo billion people on the planet do not have access to a safe source of water at home, and up to 2.3 billion people suffer from lack of sanitation. Approximately 260 million people-more than the entirepopulation of Brazil-must walk more than thirty minutes to gather water. Guaranteeing access to water is one of the main challenges of our time. Brazil has 12% of the planet’s fresh water-but, despite this fact, we are not immune to water-related problems. Major cities in Brazil have been enduringwater shortages. An unacceptable sanitation deficit persists, and the suffering caused by drought to the people of Brazil’s northeast region is a well-known fact. The search for answers to such urgent issueshas led us to host the8th World Water Forum in Brasília this week. The forum is expected to gather more than 40,000 participants from over 160 countries. We will welcome heads of state and government, state governors, mayors, members of congress, judges, representatives of international organizations and academia, the private sector, and civil society.This diversity of participants will enrich the forum. The choice ofBrazil to host one of the most important global events on water resources is no surprise. We have long been committed to this matter on the international stage. We hosted the Rio 92 and the Rio+20 conferences, in which the close link between water sustainability and development were recognized. More recently, we were among the first countries to ratify the Paris Agreement, which deals with one of the main threats to the right of access to water: climate change. This traditional protagonism on the world stage is anchored in solidmeasures on the domestic side. Brazil knows that water and sanitation are synonymouswithenvironmental preservation, and we made water security a pillar of our environmental policies. To preserve our waterways, we implemented the River Planting program, which uses digital tools to protect our springs and permanent preservation areas. Getting water to those who need it is what the transposition of the São Francisco River is all about. The long-awaited project, now in its final stages, will benefit a population 12 million in Brazil’s northeast. With the portion that supplies water to the states of PernambucoandParaiba completed, the final phase involves enabling waterto reach the state of Ceará. By completing this enormouspublic works project, we did not neglect our sustainability goals. We have launched a new project(Novo Chico), aimed at revitalizing the São Francisco River. This is the Brazilthat is hosting the World Water Forum: a country in search common solutions to global problems; a country that will continue to do its part in preserving our most precious resource. Michel Temer is the president of Brazil. This article was published in Brazilian newspaper Correio Braziliense on 19/03/2018.